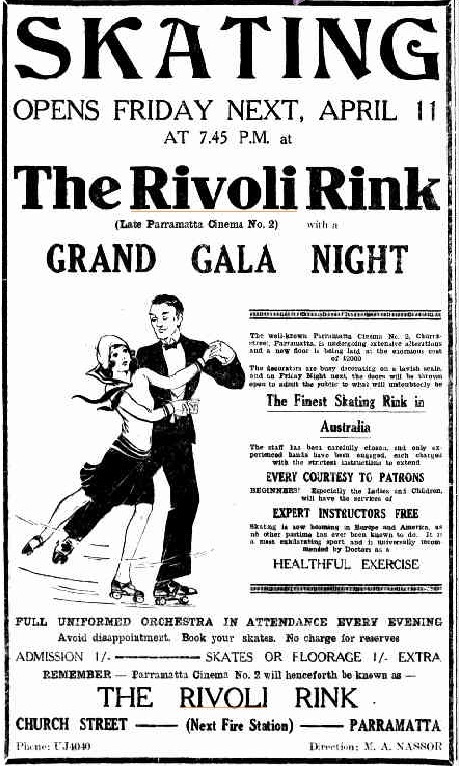 Advertisement for Skating at the Rivoli. The Cumberland Argus and Fruitgrowers Advocate 7 April 1930 p. 4. The Rivoli was not only a skating rink and dance hall. In December 1930 it opened on Friday nights as a boxing stadium. Mayor Ohlesen opened the stadium declaring “Boxing is a clean, manly sport….and I am sure if properly conducted, there can be little exception to it”.9 Boxing bouts were interspersed with wrestling bouts and vaudeville acts. From that time the Rivoli was commonly referred to as Parramatta Stadium whenever boxing or other sporting events were held. 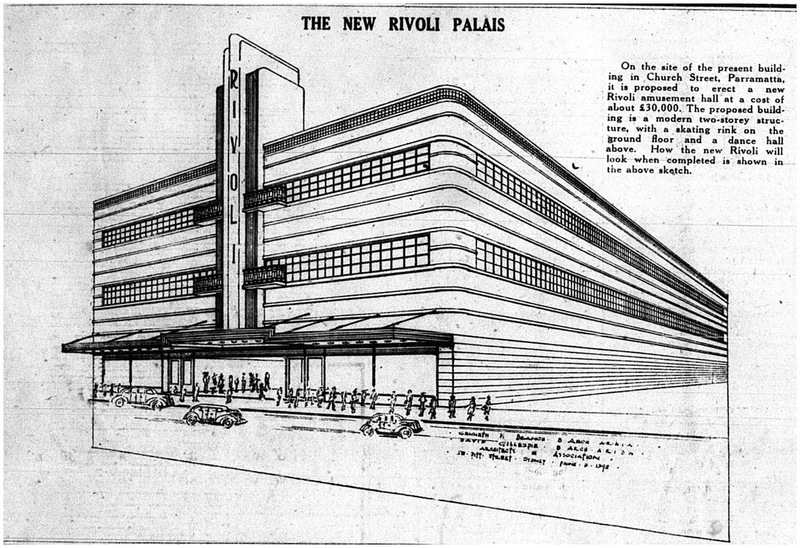 So for the next 12 years the Rivoli in its various guises and names became the “rendezvous of dances from all parts of the district”10 as well as a major indoor sporting venue for the Parramatta district. The Rivoli could not escape the urban and commercial growth of Parramatta. Located on prime real estate its was purchased by development company in 1969, knocked down and office building constructed in 1973. Glad the post revived some great memories for you John. I imagine quite a lot of couples would have met at the Riv. I hope we can get some more stories of people's experiences at the Riv. I frequented the Riv on Friday nights in the mid 60's, 50/50 dancing. The resident band was the Allusions. I met a beatiful girl there in 1966, married her in 1969 and we are celebrating our 45th anniversary this weekend.